Martha Berry asks Mr. Cridland when he will visit the schools and hopes he did not forget his promise to visit in May. 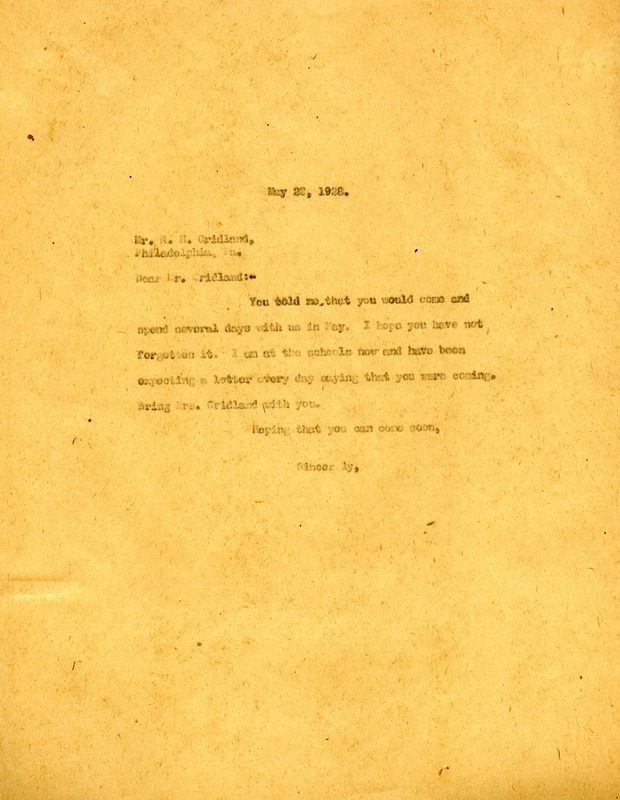 Martha Berry, “Letter to Robert B. Cridland from Martha Berry.” Martha Berry Digital Archive. Eds. Schlitz, Stephanie A., Meg Ratliff, et al. Mount Berry: Berry College, 2012. accessed April 18, 2019, https://mbda.berry.edu/items/show/7086.